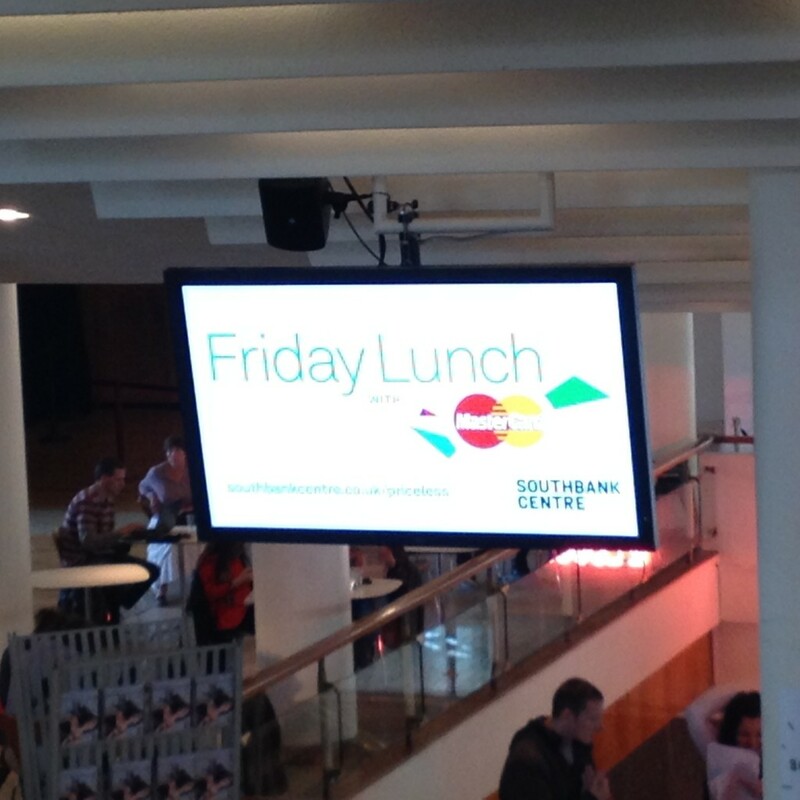 Did you know that Friday Lunchtime in the Central bar at Royal Festival Hall is perfect way to kick start the weekend? Team up with a friend, get some lunch at the Southbank Food market and simply watch Jazz bands play soothing music for free, courtesy of MasterCard. 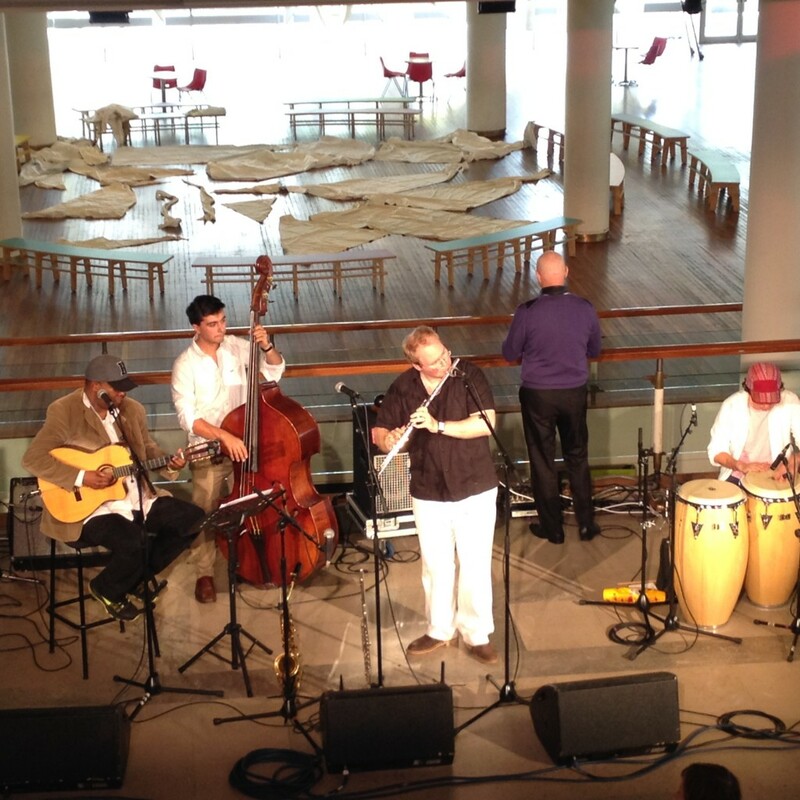 I was lucky enough to enjoy some Jazz with Tradicional Cubano featuring Javier Zalba. He is one of Cuba’s renowned musicians and founder of the group – plays the Flute, Saxophone and Clarinet. With a career spanning over forty years, it’s without a doubt that their music is vibrant with roots from Cuba accompanied with sounds from 1930’s and 1940’s. Cuban Jazz arrived in London! 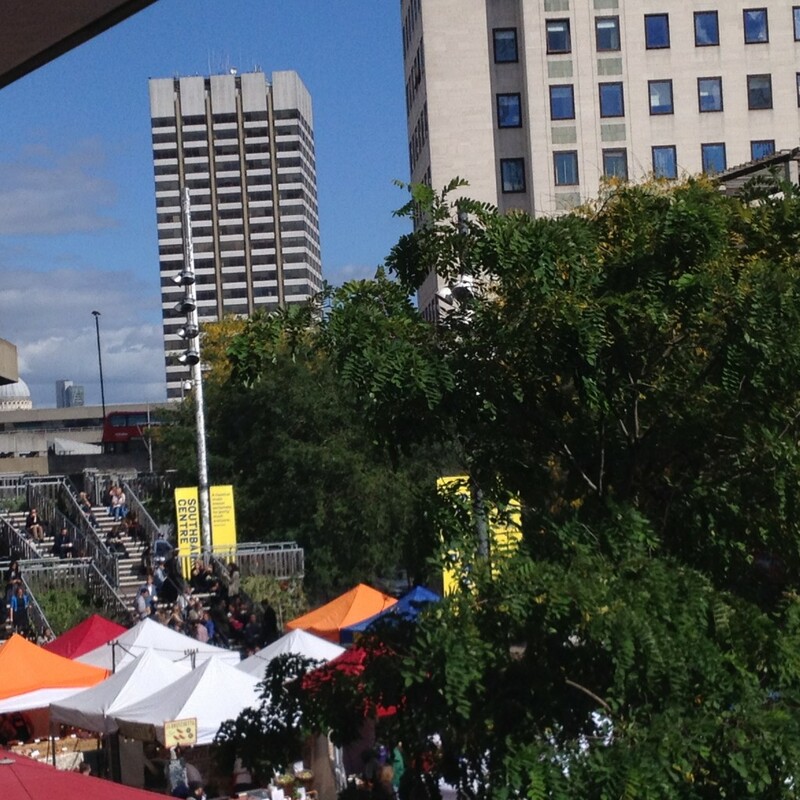 Find Jazz at the Central Bar at Royal Festival Hall, 1 pm. If you happen to be passing by on the day, it’s worth popping in. But seats do get filled up quickly and you don’t need to buy a ticket. Why should you listen to Jazz anyway? It’s an enjoyable form of entertainment. You can actually feel the emotions through the tones of the instruments. Apparently, if you listen to the music regularly it is known to give healing benefits, helps lift your mood especially during the Winter months. – It’s an energy booster. – Jazz music blocks out wandering thoughts. – Helps relax whilst driving or studying. I listen to the sounds of Miles Davis when I need to relax. Jazz is my favourite genre of music and I would like to encourage you to enjoy it. Turn to it on the stressful days or have it playing in the background when preparing dinner.